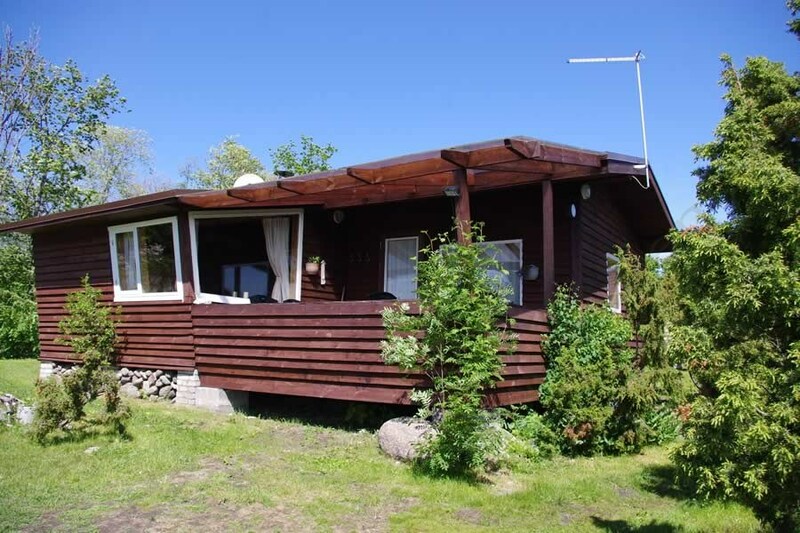 A private cottage in the beach area of Pärnu for max. 8 persons. Everything needed for a nice holiday is within walking distance: the veach 800 m, summer cafes, restaurants, pubs from 500 m, various shops, shopping centres, Summer events, etc. are 10-20 min walking distance away. 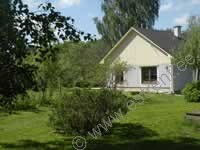 On the ground floor of the cottage there is a living room with fireplace, open kitchen, sauna with jacuzzi and shower, WC, a separate, small bedroom with a single bed. On the first floor there are 2 separate bedrooms. Altogether there are 6+2 beds: 2 double beds, 2 single beds, 2 additional places on thick air mattresses (incl. in the price). TV. Internet for own computer. SAUNA. Possibility of barbequing. In the yard of the cottage there is a rest corner with garden furniture and possibility of barbequing. Parking next to the cottage in the yard (place for 2 cars) or on the street. A two-storey holiday home for max. 6 persons in Pärnu in an area of private homes. The sea and a small beach are 600 m away. The city centre is a 6 minute drive away. Good bus connection. A two-storey, roomy private cottage for max. 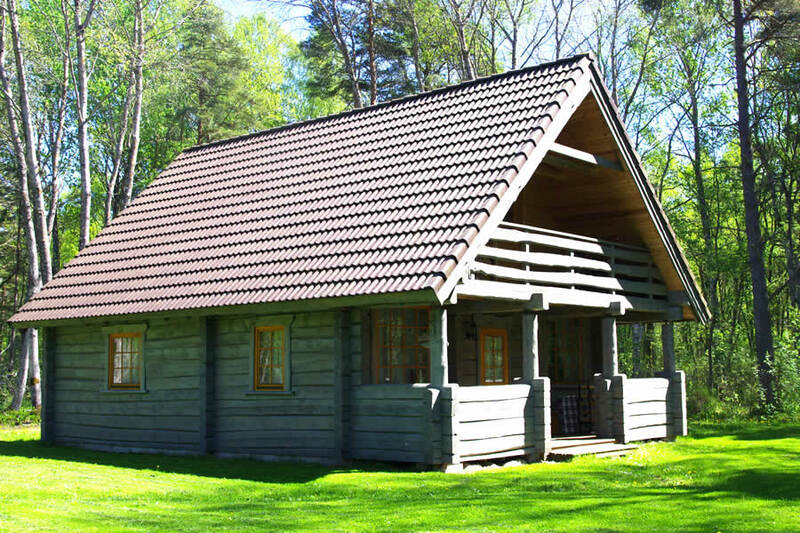 8 persons in Pärnu in an area of private houses. City centre with its numerous cafes, pubs, restaurants and Summer events is 2,5 kms away. To the beach is 3,9 kms. Good bus connection to the centre. 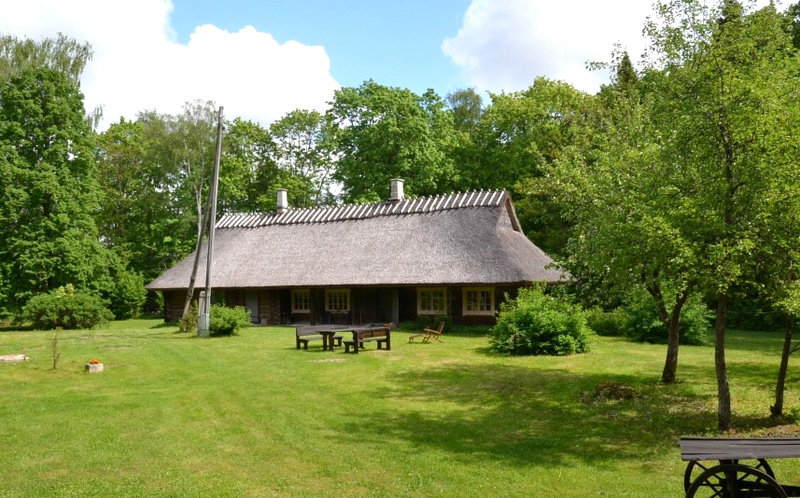 On the ground floor of the cottage is a kitchen-dining area, living room, one bedroom, sauna, WC. From the living room access to the terrace and backyard. Garden furniture, possibility of barbequing. The cottage is surrounded by a closed yard. On the 1st floor there are 3 bedrooms: one is separate and two are connected. On the 1st floor there is also a shower room+WC. Altogether there are 6+2 beds (if needed, possibility of 2 additional places on the couch/bed in one of the bedrooms for additional fee). 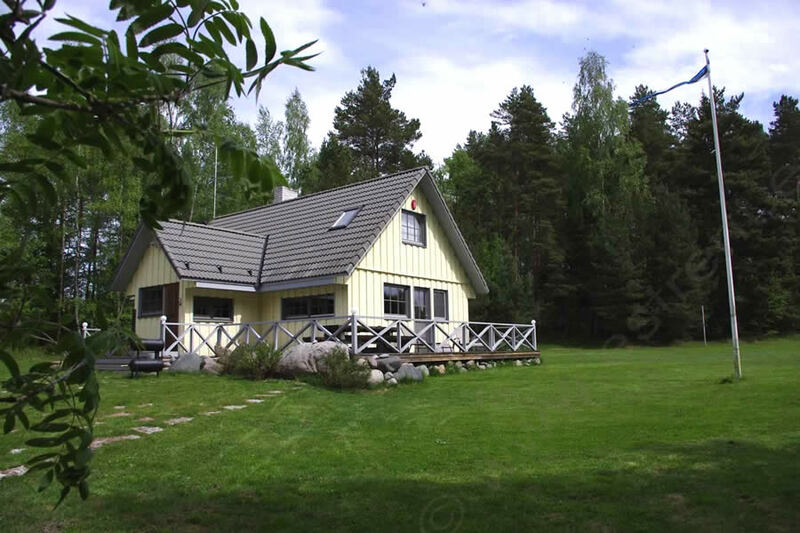 TV, internet for own computer, dishwasher, washing machine, SAUNA, possibility of barbequing. 1 small pet allowed. Parking in the closed yard of the house. 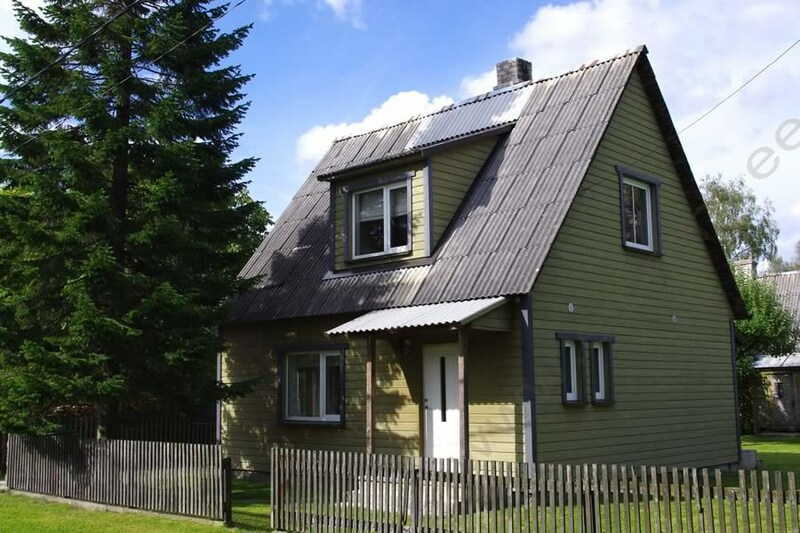 A roomy two-storey private cottage in Pärnu. The cottage is located in a quiet area of private houses and suits 2-3 families who appreciate a quiet holiday. The sea and beach are located 600 m away. To the centre 4 kms, bery good bus connection. A park/woods and jogging track are nearby. 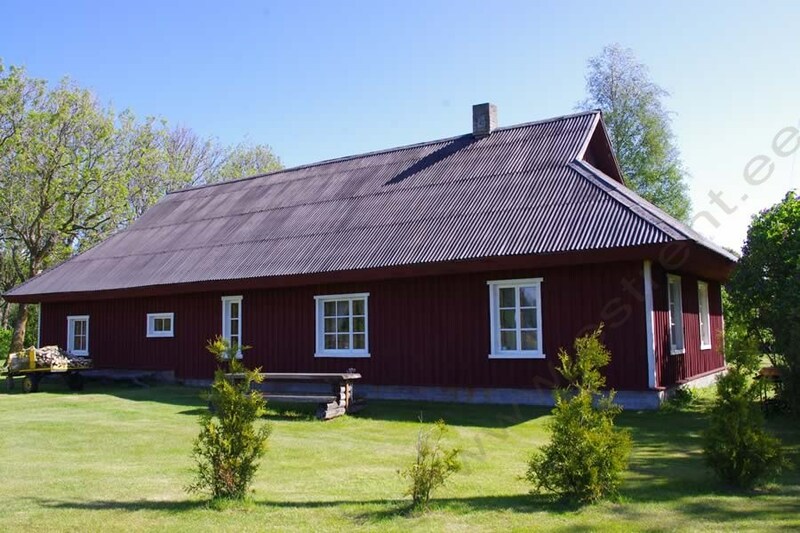 On the ground floor of the cottage there is a kitchen, living room, bedroom, sauna, shower room, WC. On the first floor there are 3 separate bedrooms. Altogether there are 5+2 beds in the bedrooms. 2 additional beds on a couch/bed in the living room (incl. in the price). 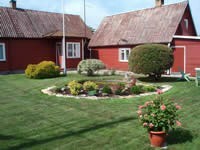 TV, SAUNA, a closed yard (grounds are 600 m2), garden furniture, possibility of barbequing, washing machine. Parking in the closed yard of the cottage (place for 1 car) or in front of the cottage on a quiet street. A Holiday Home 30 from the seashore! 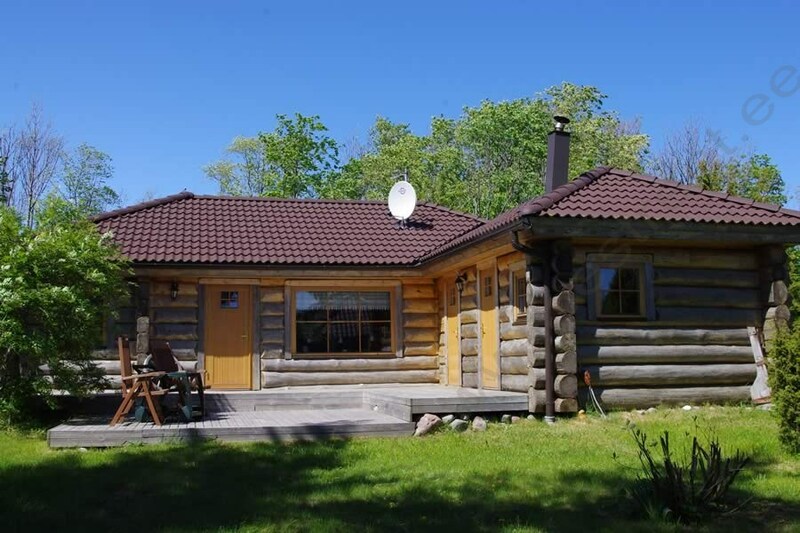 Rest time for up to 7 people on the south-eastern shore of Saaremaa located within 300 m of the sea. The site was originally built as a farm in 1910. It has been gradually renovated over time, while intentionally preserving as much of the past as possible. In the cottage, the threshing room has been rebuilt into a living room with an air of history, a kitchen, two separate bed rooms, a shower room and WC. Kitchen : wood stove, small electric stove, 2 refrigerators (one of them located in the hallway), coffee maker, kettle, microwave oven, toaster, dishes There are a total of 5+2 beds in the bedrooms: a wide double bed in one bedroom 2 single beds (120cm ja 80cm), double bed (160cm) and sofa bed in the other bedroom. One of the bedrooms has a door leading directly to the yard. 2 TV. DVD player. Washing machine. Children’s highchair. Children’s travel bed. Grilling opportunity, outdoor kitchen . Garden furniture. Pets allowed. Located a short distance away is a small old-time outbuilding (available only in June, July and August for an additional charge!). The building has 2 bed chambers with a total of 5 beds: a wide double bed, single bed and a sofa bed, and a small sauna building. The yard is surrounded by a forest which, on the one hand, provides privacy and, on the other hand, the opportunity for enjoyers of nature to truly experience some unique moments. The nearby seashore is a nesting and stopping point for different species of birds. The nearby swimming areas have sand and rock bottoms. 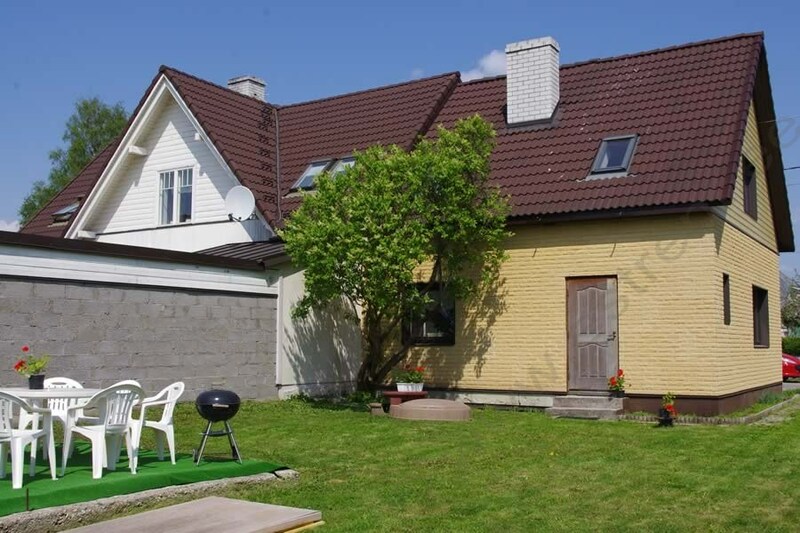 Two storey cottage in Pärnu, for up to 8 people, in close proximity to the city centre. The cottage is located on a quiet cul-de-sac. A living room with open kitchen, bedroom, shower room and WC are located on the ground floor of the house. A large bedroom and WC are located on the first floor. The cottage has a total of 6+2 beds: in the rooms there is one double bed and 4 single beds, sofa bed in the living room. Pets allowed. Grilling opportunity. Garden furniture. Parking in the courtyard next to the house. The city centre, with its numerous cafes, pubs, restaurants, and summer event locations, is located 1.5 km away. Swimming beach 3 km. Good bus connection to the city centre. The cottage is located on a large lot surrounded with a hedge, where children can play. Trampoline. Swings. A spacious cottage up to 9 people in the quiet and calm area of Saaremaas south-eastern part, 1,5 km from the sea. Kuressaare is located 30 km away. On the ground floor one can find a living room with a fire-place, an open-plan kitchen, a shower room, WC, a small restroom in front of the shower room. 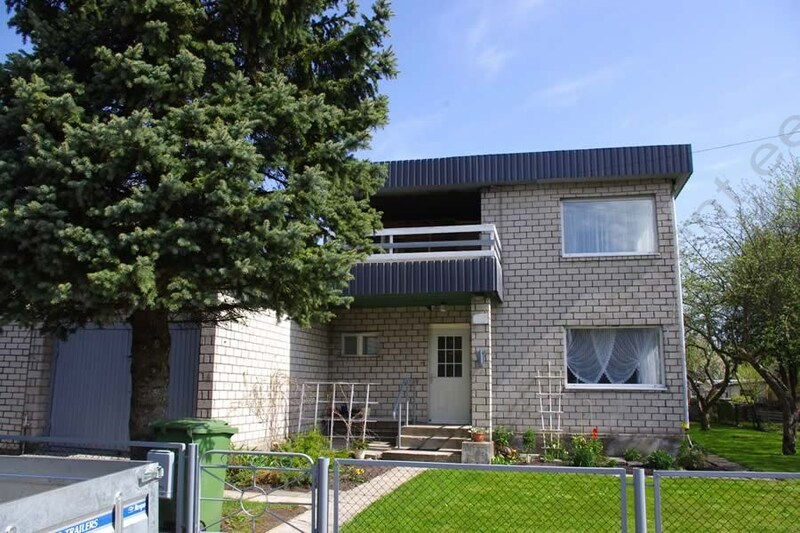 There are 4 separate bedrooms on the houses first floor. There are altogether 9 beds in the house. It is possible to get 2 extra beds (for additional remuneration, camp beds). TV. Possibility for barbecue. SAUNA. A large privacy-affording lot around the house, where children have space for running, playing. There is also a sandpit for children. A small bower for spending summer evenings. Parking next to the house. 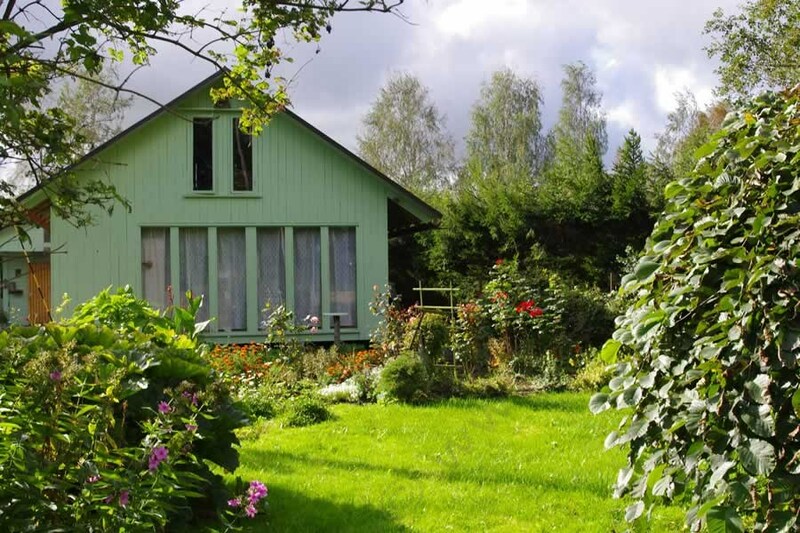 The cottage is surrounded by a beautiful maintained garden of 1,100 m2. The further edge of the border fence is marked by a small stream (supervision of children required). TALLINN – 30 km, SEA AND SAND BEACH – 700 m! 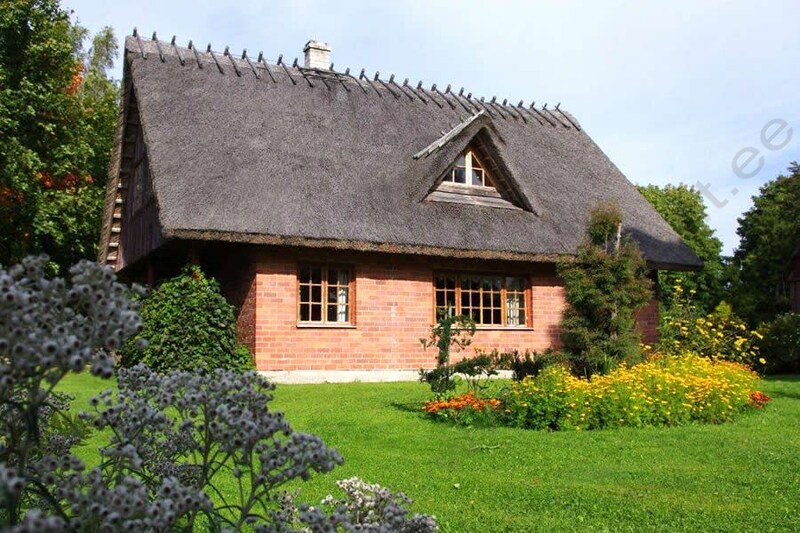 Holiday cottage – Treppoja Villa – up to 10 people is located in North-Estonian coastal region, Kloogaranna, by the beautiful Treppoja River. Only 30 km from Tallinn. It is a popular holiday area. A beautiful sand beach lies ca 700 m from the house. Surrounded by pine forests, where the air is ozone-rich and very healthy. 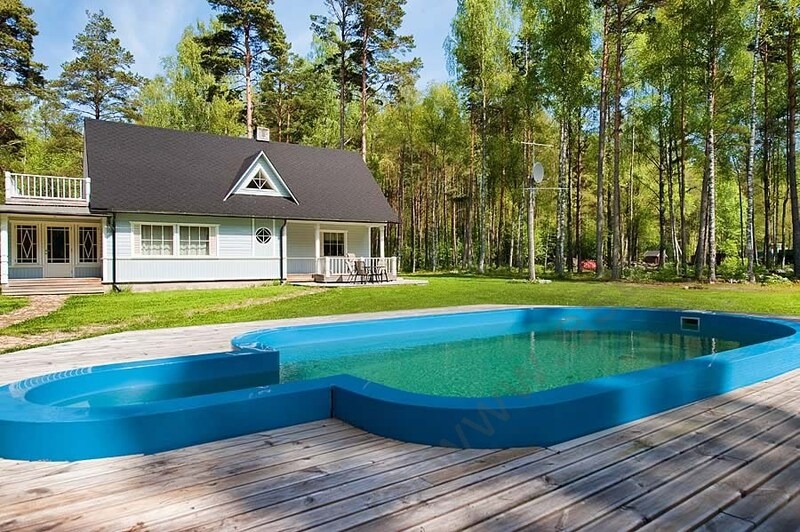 SPA (possible to visit swimming pool, water and sauna centre), the largest Estonian golf course (Niitvälja Golf), and riding possibilities in 5 minutes drive by car. The best vacation place for water sport lovers. You can enjoy Estonians most popular Surfing beaches like in Vääna-Jõesuu and Nõva. A good possibility to make daily trips to different Estonian places: Tallinn, Saaremaa, Hiiumaa, Haapsalu, Pärnu, Tartu, Narva etc. 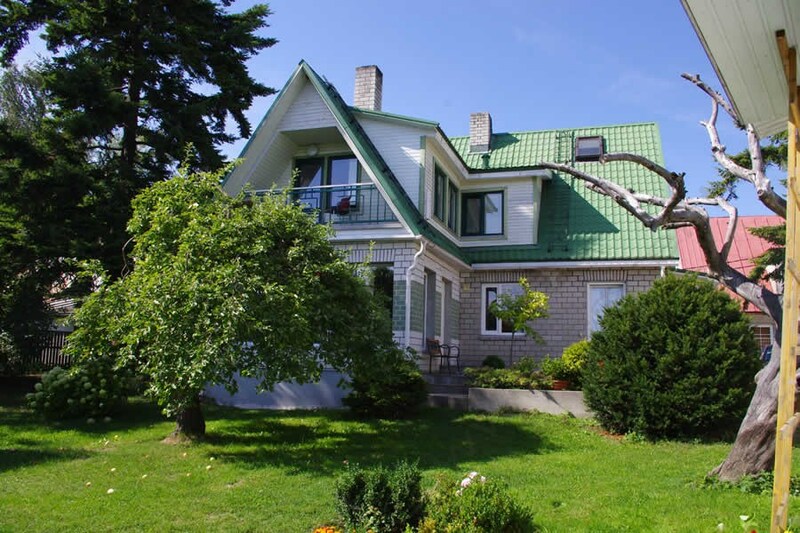 Villa Treppoja is well renovated building which is built in the 1930`s. The interior of the cottage is furnished intentionally a bit old fashioned. This cottage has its own spirit and character. 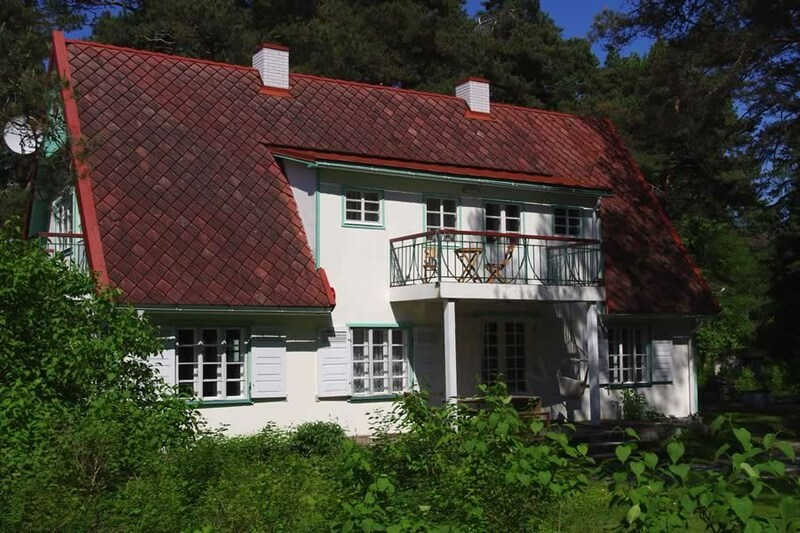 The spacious two-storey cottage is located on the edge of the pine forest. A spacious living room, eating room, kitchen, study, shower room, and WC are located on the ground floor. 3 separately situated sleeping rooms and WC are located on the first floor. There are 6+4 bed places (a wide double bed, 2 single beds, a guest bed for two, 2 armchair beds, a sofa bed). TV. Dishwasher. Washing machine. Garden furniture. Possibility for barbecue. Pets allowed. Parking in front of the cottage (free of charge). A cottage for up to 10 people (+ 6 for additional fee) in Western Estonia by the sea in Matsalu area. 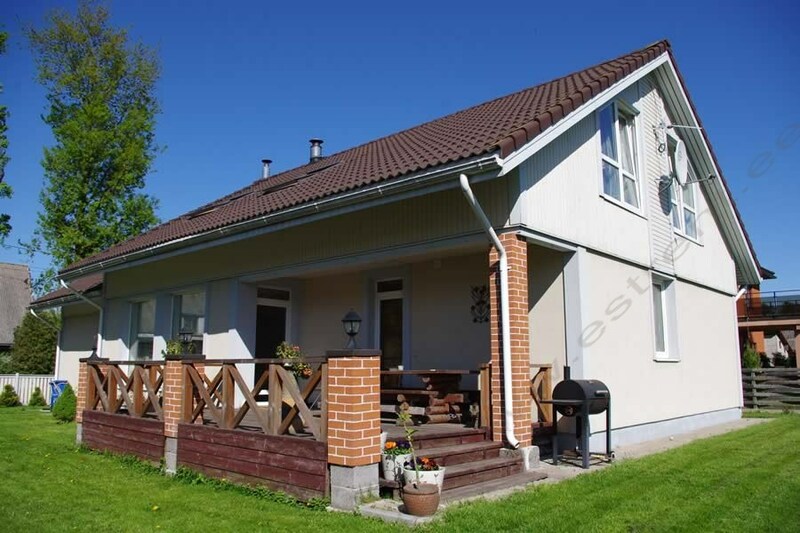 Great location conveniently enables you to make day trips to various areas in Estonia: Hiiumaa, Saaremaa, Pärnu, Tallinn, Tartu, etc. An old idyllic fishing harbour is located near the same peninsula. The area is valued among the nature observers. The house, which was completed in 2008, has been established in an old stable from the Tsar’s era. The building has become a new and modern household during the renovation of the building. The first floor of the cottage has been stylishly designed: there is a living room with an open bar-kitchen corner, a shower room, and a toilet. An 80 m2 terrace, which is situated in front of the house, is directly accessible from the living room. The bed places (10 bed places) are situated on the 2nd floor in 2 bedrooms and an open bedroom. Beds can be freely located. In both bedrooms there is room for maximum 4 beds, in open sleeping space maximum 5 beds. House equipment: electricity, cold and hot water, TV, refigerator, microwave, toaster, CD/DVD player, dishwasher, washing machine. A big 80 m2 terrace is located in front of the house, where you can organise a spectacular barbecue party. In case of rainy weather, it is possible to grill under a separate shelter, which is equipped with electricity and a charcoal grill. A little away from the cottage is a separate sauna house. 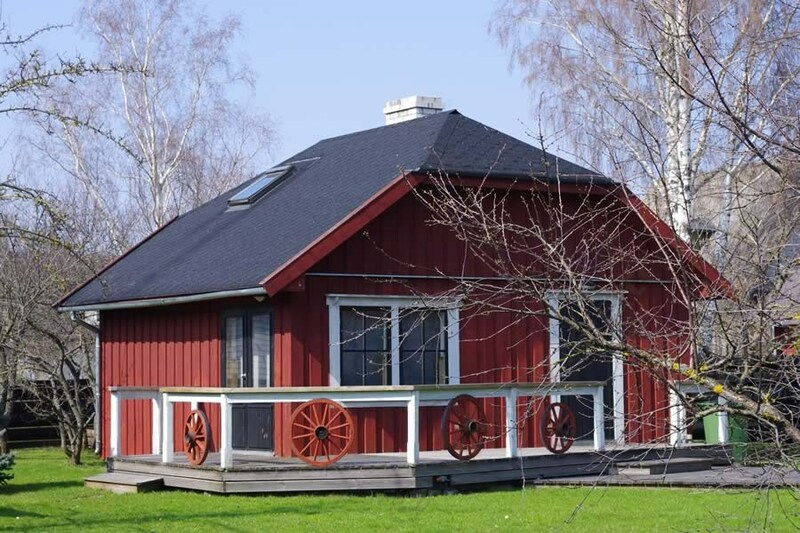 The sauna cottage has been established on the centuries-old underground cellar. The cellar is currently used as a firewood storage place. In addition to sauna rooms, there is a living room with a mini-kitchen in the house. Mattresses have been placed in the shelter room to ensure up to 6 bed places. 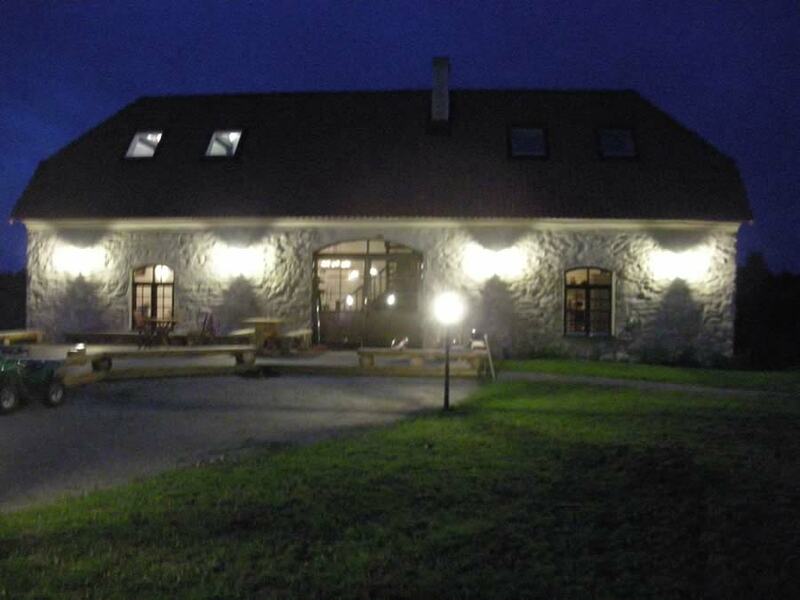 There are also a 50 m2 terrace and tables for larger company in front of the sauna. The sauna terrace is overlooking to the sea, which is 80 m away. Parking near the house.